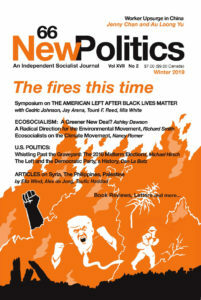 Before turning to the current issue, we want to say a word about the new role that New Politics is playing on the left. New Politics has always been a source of analysis of national and world politics from the point of view of “socialism from below.” More recently, however, we’ve also become—as a print journal and as an online website—a locus for debate on the democratic left. Last issue we began and this issue we continue our series on “The Left We Need,” with articles by all together a dozen different left organizations. 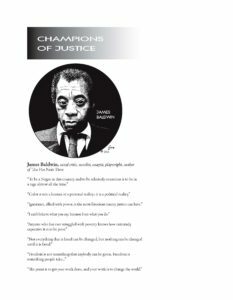 The killings of Michael Brown and Eric Garner, by police who were not indicted by grand juries in Missouri and New York, represent only the latest in a string of such police or vigilante killings—sometimes clearly murders—of African-American or Latino men. Contemporary capitalist society faces multiple crises: environmental catastrophe, proliferating wars, multiplying authoritarian governments, inequality, poverty, and failing health and education systems. Everywhere new democratic and progressive social movements continue to arise, from Ferguson, Missouri, to the Climate March in New York City, to the movement for democracy in Hong Kong. And yet, in most countries the democratic socialist left is small, weak, and divided. In this issue, we shift our focus toward domestic concerns, though we also look abroad with anxiety and trepidation. Accounts of the great Chicago Teamster strike of 1905 tell us that when the employers attempted to move the wagons driven by non-union workers through the streets of the city, working class women went to their windows and threw garbage, boiling water, and whatever else was available on the heads of the scabs below.